These vintage Oakley Splice sunglasses clearly show what makes Oakley so unique. 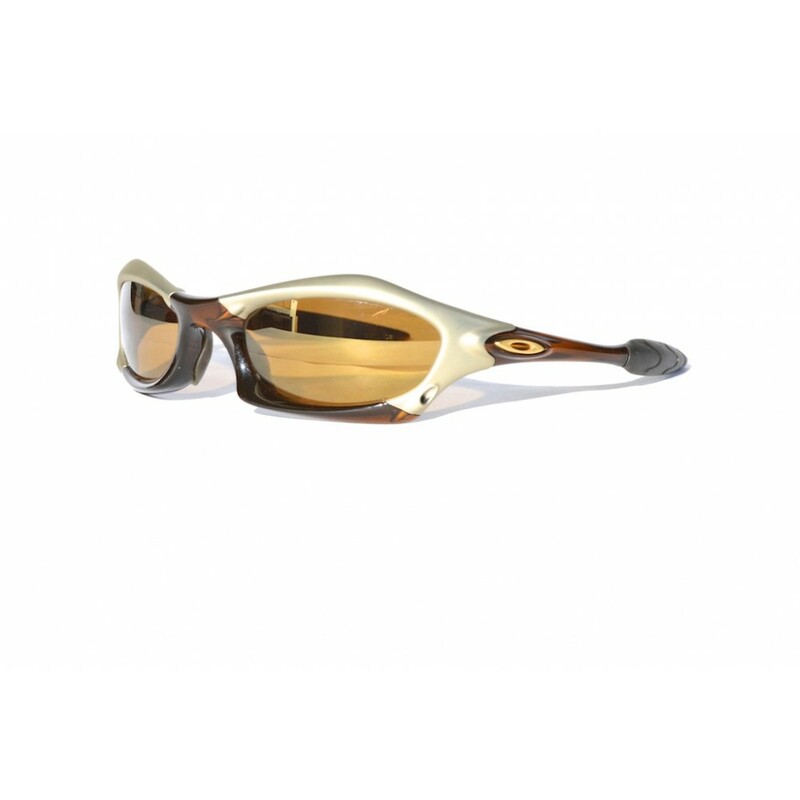 These groundbreaking sunglasses incorporate several seperate parts that make up the frames. Each in it's own color and this way showing what technical innovations are involved in these sunglasses. A true collectors piece, complete with box and paperwork.